Man Behind Lens: The New Canon EOS-M Mirrorless, REALLY?? 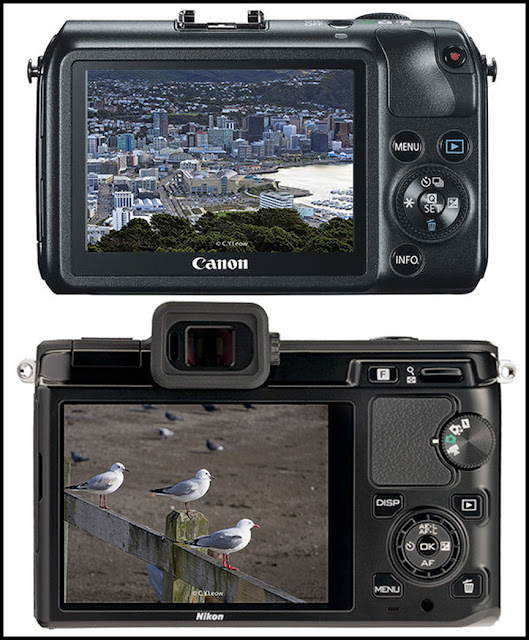 The New Canon EOS-M Mirrorless, REALLY?? If you believe what the rumor mill are harping about, this is the REAL leaked picture of the NEW Canon EOS-M mirrorless wonder! If the rumor is true (we will know tomorrow), me and thousands of Canon fans will be disappointed! 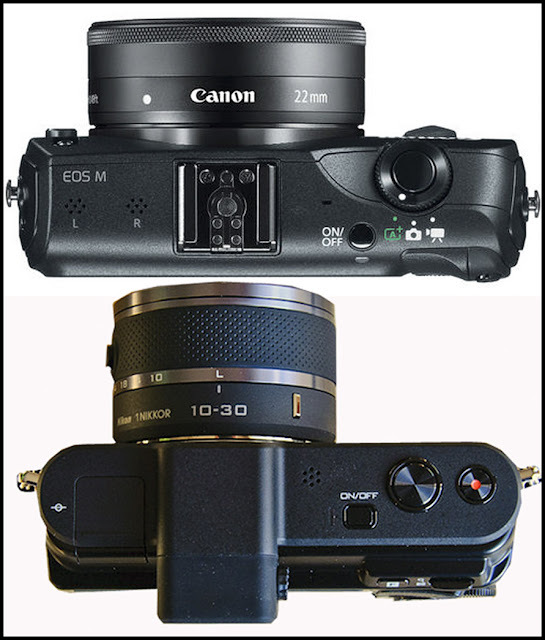 Look at the picture below where the EOS-M is placed beside the Nikon V1. The front of the EOS-M showed very little hand-held space, it look like there isn't a build in flash; but what is that slot on the right? Could that be a flash release slide? It is also obvious that the EOS-M is a pure point-and-shoot offering, lacking an EVF like the V1. Looking from the top, the little Canon utilised the shutter release button to select between movie, still and EV; I like that feature! Looking at the back, the Canon have less features than the V1 but not by many, at least they put the mode selector where you can change quickly. The V1 on the other hand put them on a finicky dial that get easily shift! That, is the WORST feature of the V1. Looking at the EOS-M I could not but wonder, WHAT IS THE POINT? Canon have the advantage of observing their rivals in mirrorless offering and they still FAIL to GET THE POINT! 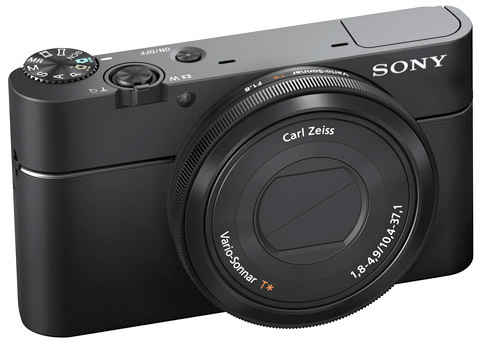 Consumers will go for a high end compact like the Sony RX100 or Canon G12. Everyone else will be shooting with a iPhone! Lower end mirrorless is a failed concept, high end is the way to go. What is the point of interchangeable lens feature when the users only use the kit lens anyway! It will come with an 18MP APS-C sensor, ISO range of 100-12800 (expandable to 25,600); 3-inch touchscreen, phase and contrast AF, able to autofocus during video recording, 1080p HD movie, and other fancy image enhancement like (twilight mode, creative filters, HDR, multi-shot noise reduction). The EOS-M will also launch with an EF lens adapter, a new flash unit, and two lenses: the EF-M 22mm f/2 STM and the EF-M 18-55mm IS.